Item sold in auction: Internet Auction # 112. Closed On: Monday, November 6, 2006 4:26 PM. 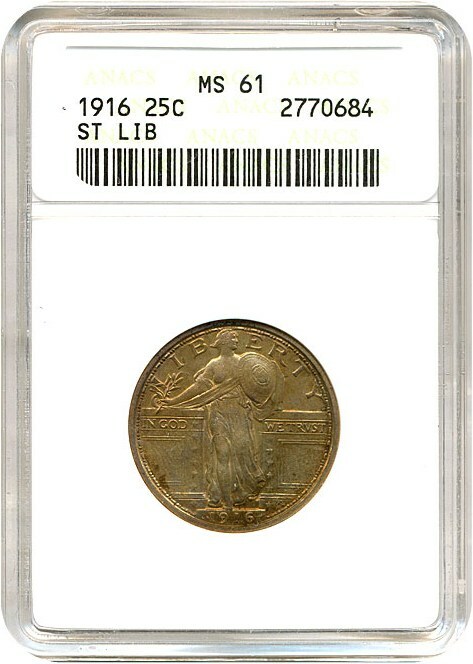 The key to the Standing Liberty quarter series, the 1916 is also the first year of issue. Just 52,000 coins were struck and most were not saved. A great looking coin that collector and investors crave to have in MS grades.